Who are these aged health care advisors? Managing the elderly and aged when you have also aged is quite a challenge. Today the life span of human beings has gone up from where it was in the past. People are living longer lives but it may not be quality living. At the same time if the children are also old it becomes very tough for them to cater to the demands of the aged especially if they have serious health problems. To assist them in this, a senior service/care advisor can come into picture. They are specialists who cater to the health welfare of the elderly and aged. They provide for personal support and guidance to your loved ones giving you peace of mind. They provide assistance for every day living of the patient. This is to enable the patient to live with dignity and their family member can have things under control. Dressing of the patient. Required support is provided for. Support them with their mobility using cane, walker, wheel chair etc. Help them with their toilet activities. Also help them with their medical insurance, physical therapy sessions and occupational therapy. Senior service/care advisor are set of people dedicated to the health care of the aged. People from varied backgrounds can qualify for this role like nursing, social worker etc. They are also referred to as Elder care Managers or Geriatric Care Advisors. There are organizations where such people are trained and then certified. Licensed people should have the necessary certification. To locate one you can access Internet online and Google search for Senior service advisors in your area. The search would come up with a list of organizations that offer such service. Check up with the rankings and reviews and decide on one which would cater to the illness you are looking at. How does a Senior service advisor go about the job? As a first step an assessment of the health status is made. This would help the advisor identify the problems and decide whether the patient needs assisted living. Then they would screen their health by arranging tests, monitor them and check their mental status too. In the process they would provide them with all legal help, financial help and refer them to other professionals if required. Handle any crisis with respect to them. Act as a mediator between the patient and their family members if they are far away. Provide for counseling sessions, psychosocial support and educate them on their status. 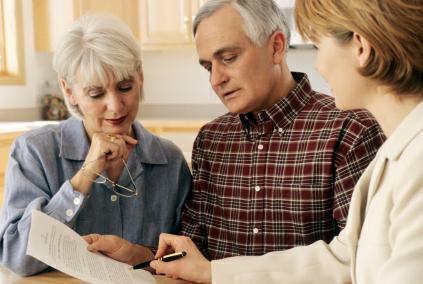 Senior citizens who choose to take governmental help have a social worker associated with them. If you are struggling with aged people at home who have health complications it is worth while to look for an Elder care advisor. This would definitely make life for you and them manageable. This is a guest post written by Subodh Jain, a freelance writer and health blogger.